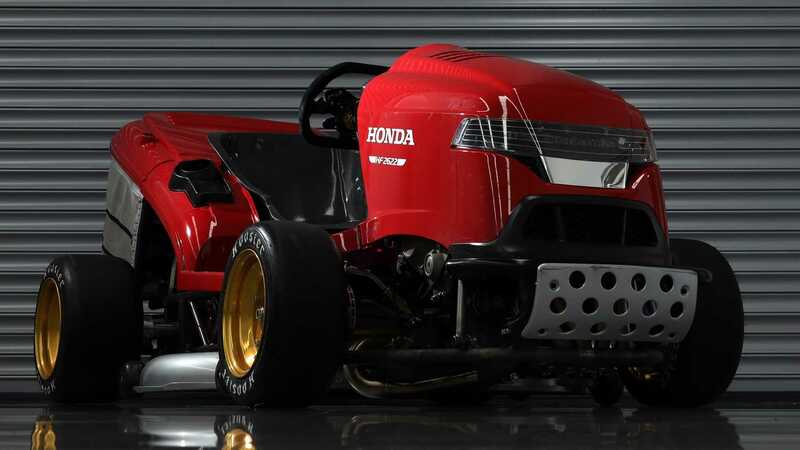 Car manufacturer Honda is currently busy developing the next generation of the Mean Mower, allegedly the world’s fastest lawnmower. The company hopes that its sported-up household appliance will beat the speed record set by the previous-gen Mean Mower five years ago. Back in 2014, Pierce Ward succeeded in revving his Japanese lawnmower all the way up to 186.7 km/h (116 mph, the number reflects the average maximum). The mower came equipped with the VTR 1000 °F Firestorm superbike engine rated at 110 horsepower / 82 kilowatts. The new Honda Mean Mower – which, incidentally, is being designed together with Team Dynamics – gets an even stronger Honda Fireblade SP bike engine rated at 290+ hp / 142+ kW. The engineer team expects it to ultimately go past 240 km/h (149 mph).